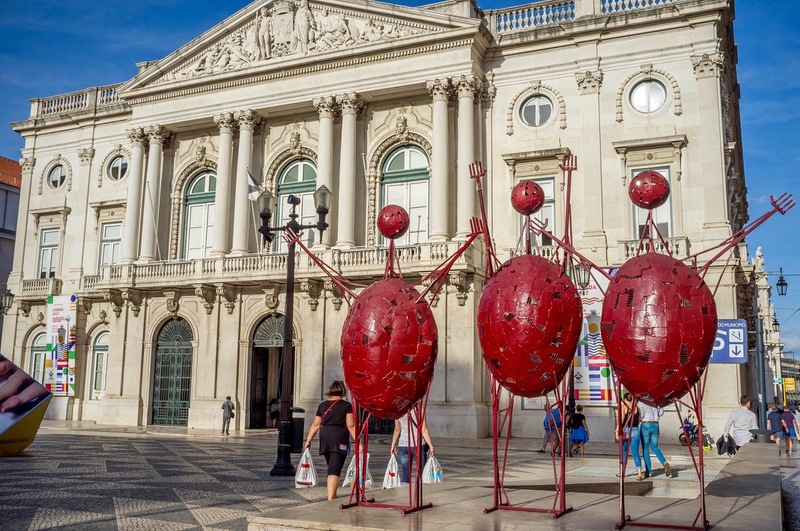 After finally scoring an available berth in Lisboa, it was time to explore the town. As we typically arrive somewhere in the afternoon and need a bit of time to sort out the boat, shower, etc. we just go for a little semi-random walk around town in the evening and check out whatever is near. It's not unusual for this to turn into a 10km hike around town - interesting new places always make me overcome my inherent laziness and we only realize we've walked a lot when we get back to the boat with aching feet and steaming shoes. It was hot. I needed more shorts. The solution came with free ankle warmers. Lisbon seemed a bit more touristy than Porto, at least many of the areas we've seen had big crowds of mostly pale/sunburnt people. The town is another huge sprawl with lots of hills to walk up and down and narrow alleys paved in bright white cobblestones that have been rounded by countless footfalls and are quite slippery even when dry. Most of the restaurants have someone standing outside waving a menu around and trying to lure you in. We're pretty good at staving them off, but were bested by a funny woman who not only managed to get us into the place, but also to upsell us on a surprisingly expensive starter in addition to the reasonably priced grilled fish we had. Oh well, at least the food was excellent. 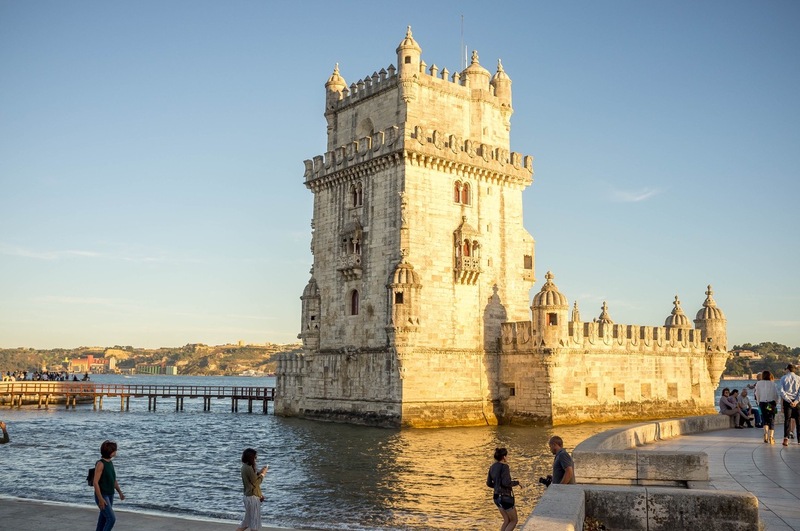 Torre de Belém - during daytime, people queue for the view of the river, but we'd already had a much better view of it. 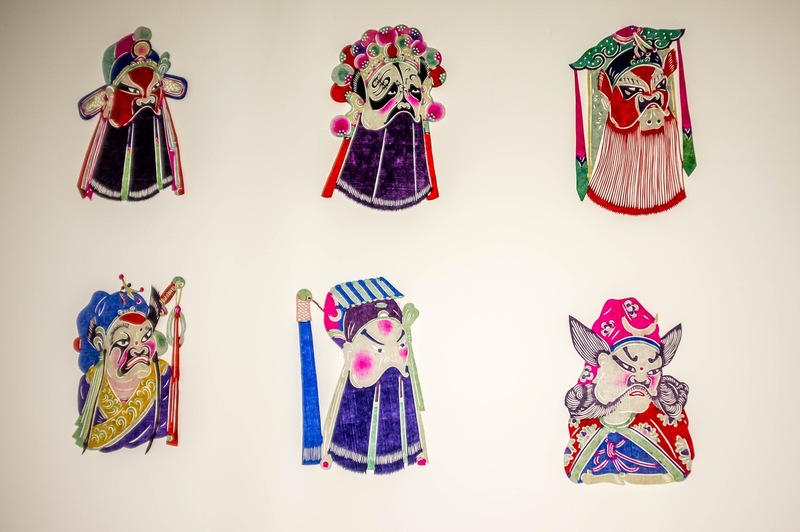 Next to Doca de Alcantara was the Orient museum, which had a large section on Chinese Opera and many treasures discovered by Portuguese explorers during the age of discoveries. Another day we split up to visit different museums. Elvyra went into some modern art place and I visited the Maritime museum (which was inside a secularized monastery), where I saw a lot of sailing boat models and learnt how their designs evolved during the age of discoveries from lateen rigged exploration vessels to increasingly larger square riggers for hauling cargo. Later ships were also heavily armed, as competition heated up. 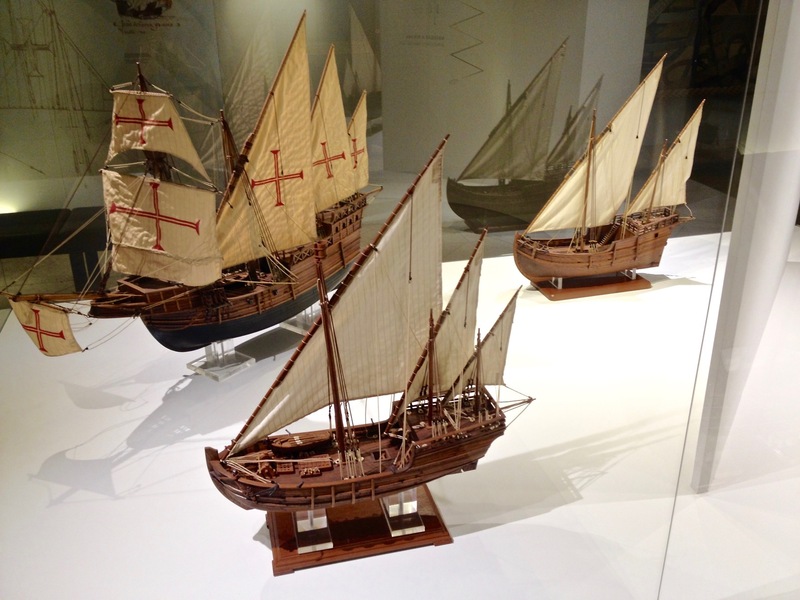 Late 15th century exploration and trade ships. I learnt that the flappy eared one is a scholar. We stayed four nights at Doca de Alcantara. 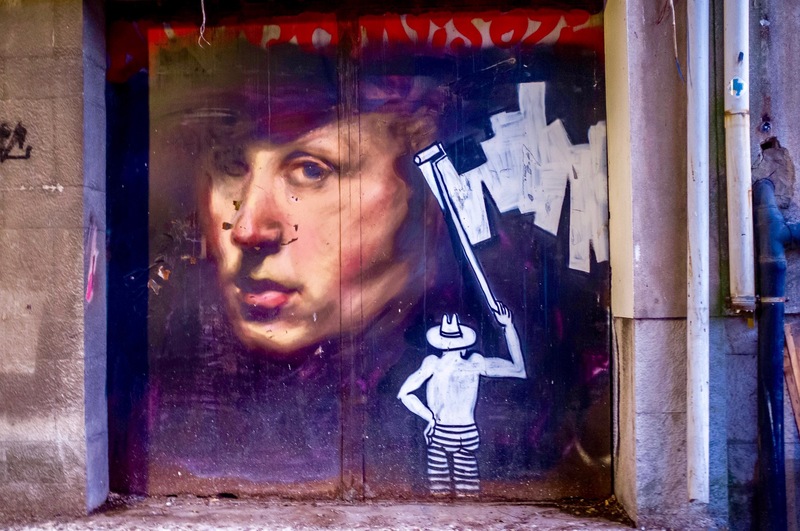 Lisbon was very interesting, but so far we like Porto a bit more, perhaps because we managed to avoid the tourist crowds better there, or because the town had a generally more chilled out feeling to it.